Enjoy elegant heirloom styling with all the benefits of modern upholstery. Scalloped, tightly rolled arms define the Sutton look. 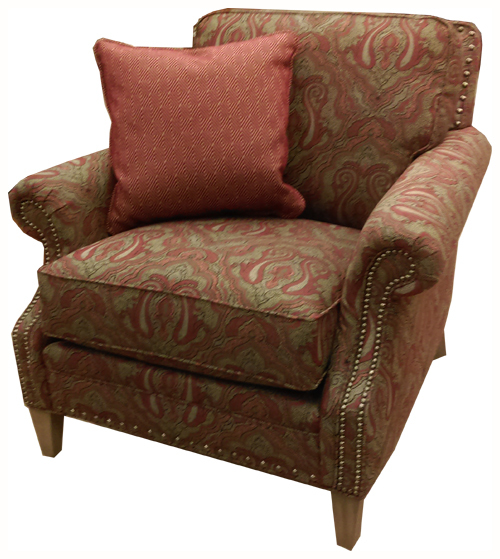 Lined with optional nailhead trim tightly spaced on the arms and loosely spaced on the back and base, this standout design is finished with long tapered legs and welt cord trim.